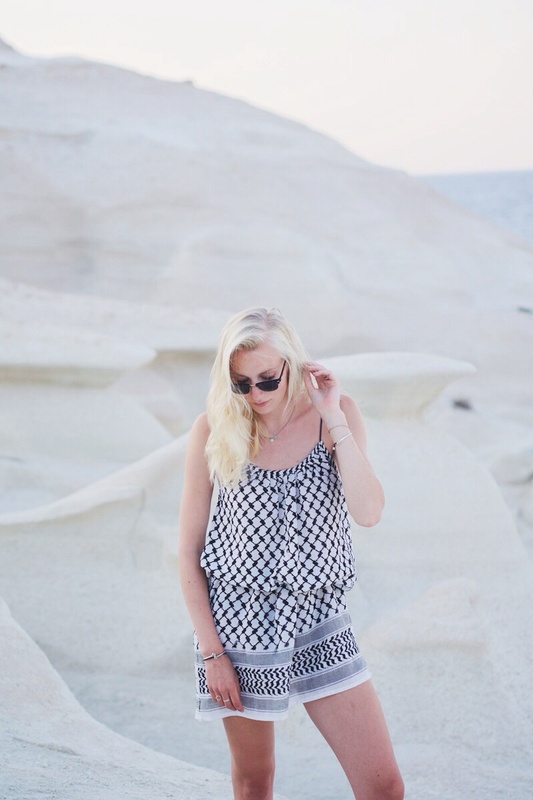 A Saint Tropez beach dress worn to one of the most surreal beaches I've ever seen. As you can see the landscape was all white, clean and rocky - which is quite rare for a beach. What do you think of the dress? Wauw mooie plek, heerlijk jurkje! Such awesome photos! I love your jumpsuit! Hele mooie look & foto's!